Winged Foot Title Sponsors TOP GUNS 2012 on Tues, July 24! For four consecutive years my company, Winged Foot Title, has sponsored the Top Guns event and this year is no different! 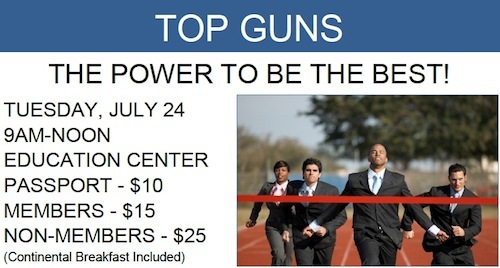 These top guns include Gina Goodrich, Brett Ellis, Trae Zipperer, and Zachary Fischer. Want to come join us? Download their flyer for more information including the agenda and topics of discussion. Trust me, you’ll get A LOT out of this event!